When you think of Ferrari, you imagine dramatic roadsters and screaming V12s…right? 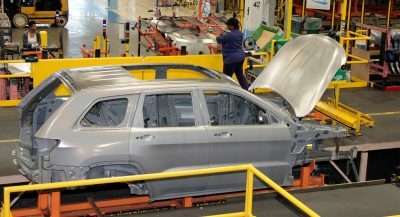 Well, here’s the thing: while Maranello produces its fair share of convertibles, and remains one of the few automakers still producing twelve-cylinder engines, it seldom puts the two together into one package. At least not these days. In fact, over the last couple of decades, it has only done so on a handful of occasions, and they’ve all been exceedingly rare and enormously expensive. 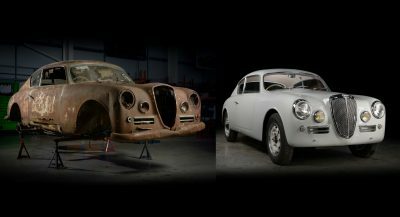 This despite legends from the company’s past such as the 250 GT California and the original Testa Rossa. Heck, its first products were V12 roadsters. 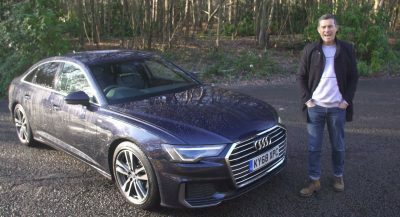 But you don’t see a lot of them these days – the company’s convertibles almost invariably packing V8s and its V12 supercars come with fixed roofs. It’s about to make another, though, which struck us as a perfect opportunity to take a drive down memory lane to revisit some of those rare twelve-cylinder roadsters from Ferrari’s modern history. Hard as it may seem to believe, from the mid-70s through to the late-90s, Ferrari didn’t produce a single two-seater with a V12 mounted up front. 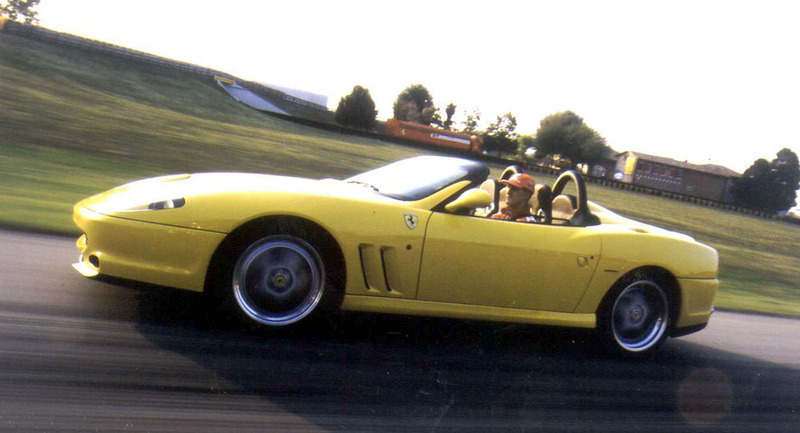 The 550 Maranello put an end to that when it debuted in 1996. But like the Berlinetta Boxer and Testarossa, the 550 wasn’t offered as a convertible – not until the Barchetta Pininfarina came around. Named after the design studio responsible for styling so many Ferraris over the years, the Pininfarina was mechanically identical to the coupe on which it was based, packing a 5.5-liter V12 rated at 478 horsepower. But it had no roof to speak of, just a couple of leather-covered roll hoops and a temporary cover for use in case of unexpected showers. Only 448 examples were made (plus another dozen prototypes), representing less than a seventh of the Maranello’s production run. The 550 Maranello was replaced by the enhanced 575M in 2002, its engine enlarged to 5.75 liters and output raised to 508 hp. But it took another three years before its convertible version arrived. Reviving a long-dormant nameplate, the Superamerica featured a far more practical roof mechanism that was anything but conventional. The flip-top was designed by former Pininfarina stylist Leonardo Fioravanti, resting upside-down atop the trunk when not in use, and spilling whatever had collected inside into the cabin when deployed. 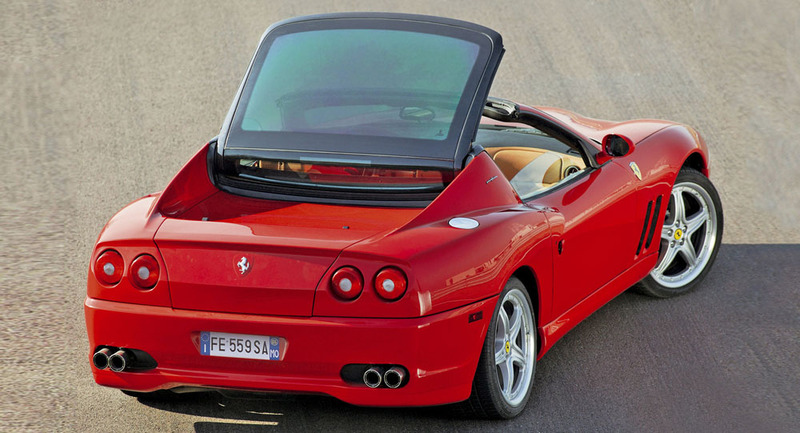 559 examples were made out of the 2,056 Ferrari 575s produced in all. Ferrari replaced the 575 with the all-new 599 GTB Fiorano in 2006, with the 599 SA Aperta following in 2010. The name paid tribute once again to Pininfarina, with its initials taken from Sergio and Andrea, combined with the Italian word for “open.” This time only 80 examples were made, encompassing the engine upgrades introduced on the 599 GTO. Where the 6.0-liter V12 in the base GTB produced 612 hp, the GTO and SA Aperta stepped up to 661 hp. As with the 550 Barchetta, only a temporary soft top was included as a nod to the elements. The factory also produced a couple of one-off roadsters based on the 599 as well in the forms of the P540 Superfast Aperta and the Superamerica 45, each made for discerning individual customers. 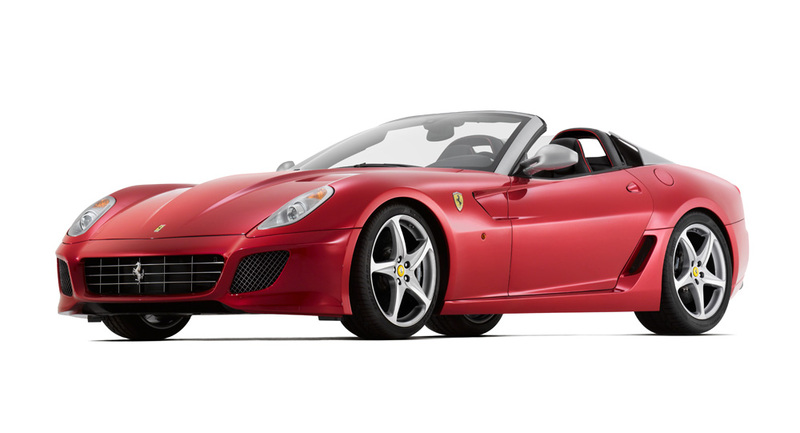 If the 599 SA Aperta was more exclusive than its predecessors, the F60 America was even more so. Based on the F12 Berlinetta that replaced the 599 in 2012, the F60 America was made to celebrate the company’s 60th anniversary in the United States. Only ten examples were sold, exclusively in the US, for $2.5 million a piece. The same 6.2-liter V12 applied from the Berlinetta with 730 horsepower (instead of the 769 in the F12 TdF that followed), with that flimsy cloth top returning. Ferrari’s Special Projects division also worked up the F12 TRS inspired by the 250 Testa Rossa from 1957, with only three examples known to be in existence. Had enough of front-engined V12 GTs with their roofs chopped off? Let’s retrace our steps to the F50 of 1995. 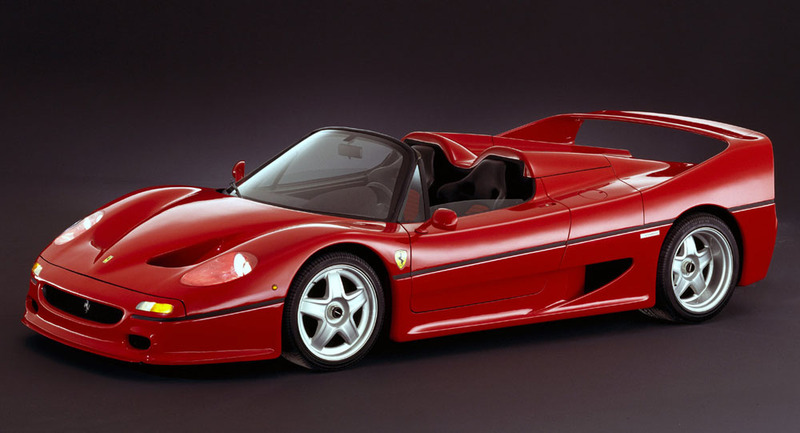 The successor to the legendary F40, the F50 packed a naturally aspirated 4.7-liter V12 behind the cabin, adapted from the 333 SP racing prototype and derived, in turn, from the Scuderia’s F1 car. It had a removable hardtop that made it look like a coupe when in place or a roadster when removed, but couldn’t transition between the two on the fly. Just 349 examples were made. Why’s there a Maserati on this list, you ask? Because it was essentially a Ferrari but with a different badge. 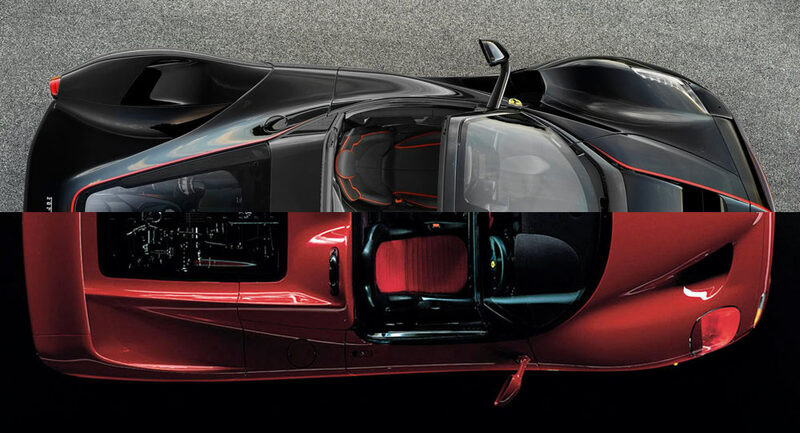 The Prancing Horse marque developed the MC12 for its sister company based closely on the Enzo, but with a targa-style removable roof panel. It was bigger than the Enzo, and its 6.0-liter V12 was downgraded from 651 horsepower to 620. 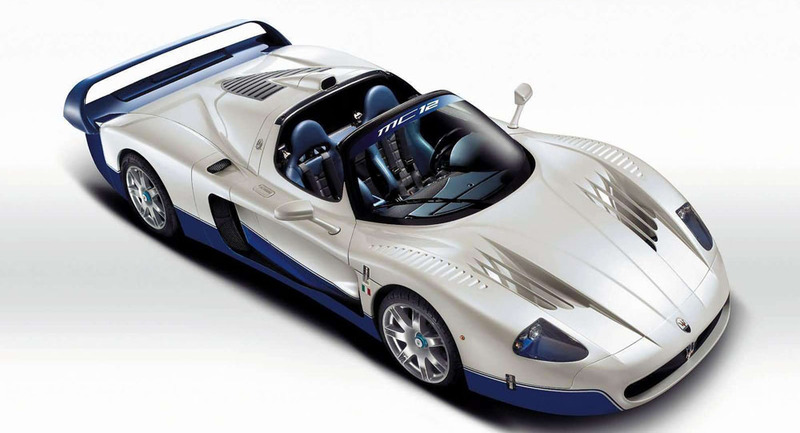 Only 25 units were made available to the public, principally as a homologation special so that Maserati could race it in the GT1 class, winning the FIA GT championship six times in a row from 2005 to 2010. Just the other day, Ferrari confirmed plans for a LaFerrari roadster, releasing this image and just two more. 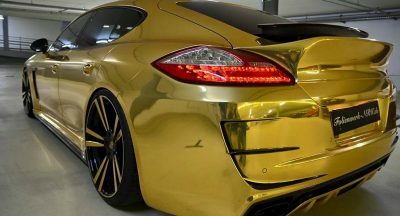 Many details remain undisclosed, but it is already confirmed to pack the same 6.3-liter V12 hybrid powertrain as the fixed-roof version: all 949 horsepower of it. It will also offer both hard and soft tops, and will be even more exclusive (and assuredly more expensive) than the existing LaFerrari. 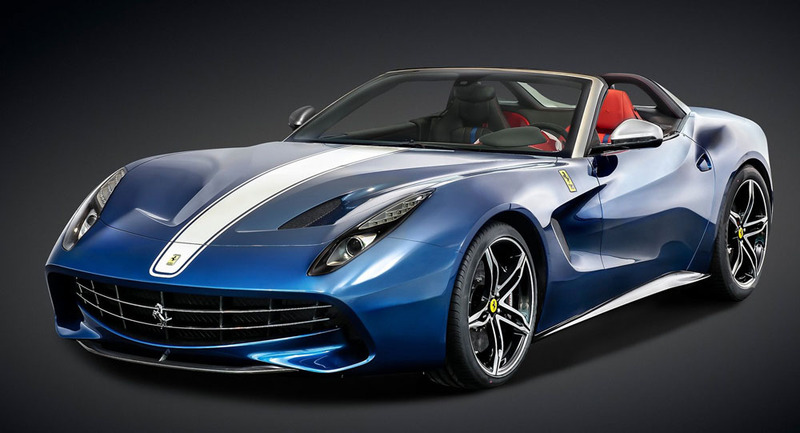 Tipped to carry the Aperta name, it’s set to be revealed at the Paris Motor Show in the fall… but the entire production run has already been spoken for. The F60 America has to be the dream drop top!! I always loved the Superamerica because of the odd roof and I love the F12 and would really love to see a proper convertible version of it, but the F60 is close enough. 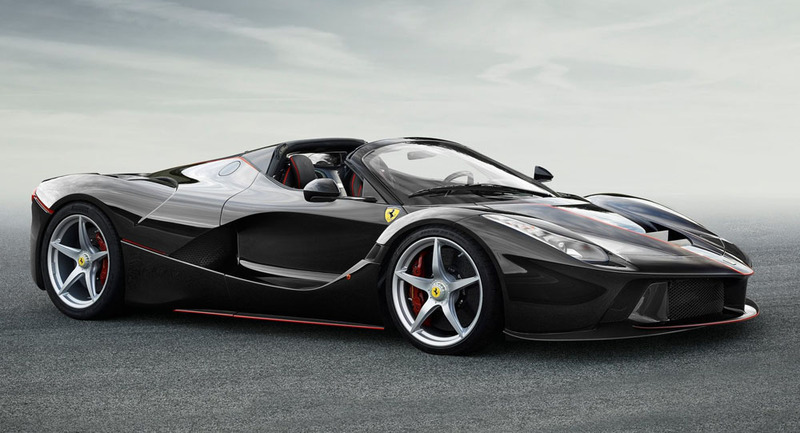 I still don’t love the insect looking LaFerrari though.